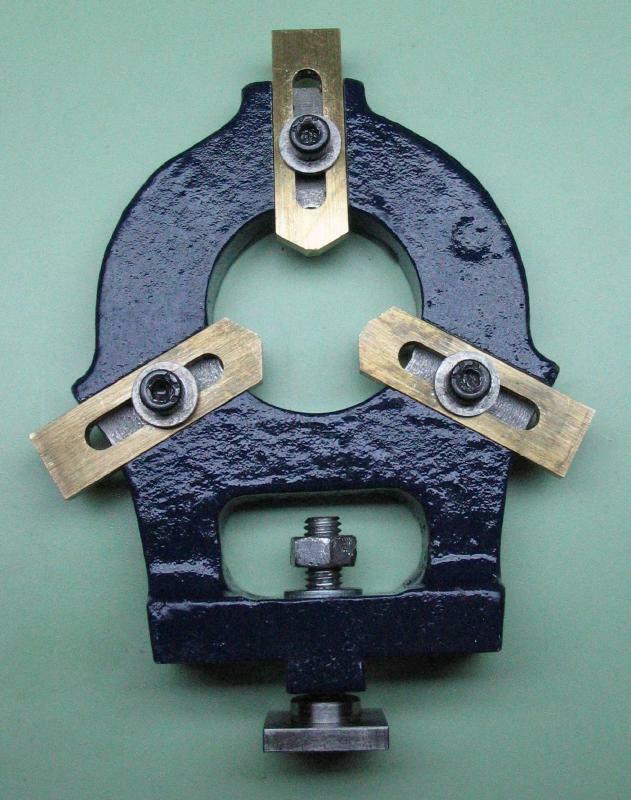 The Cowells lathe steady rest came equipped with plain brass bearings. These work well, however, since they directly contact the rotating work in use, the surface of the work will suffer as a consequence. 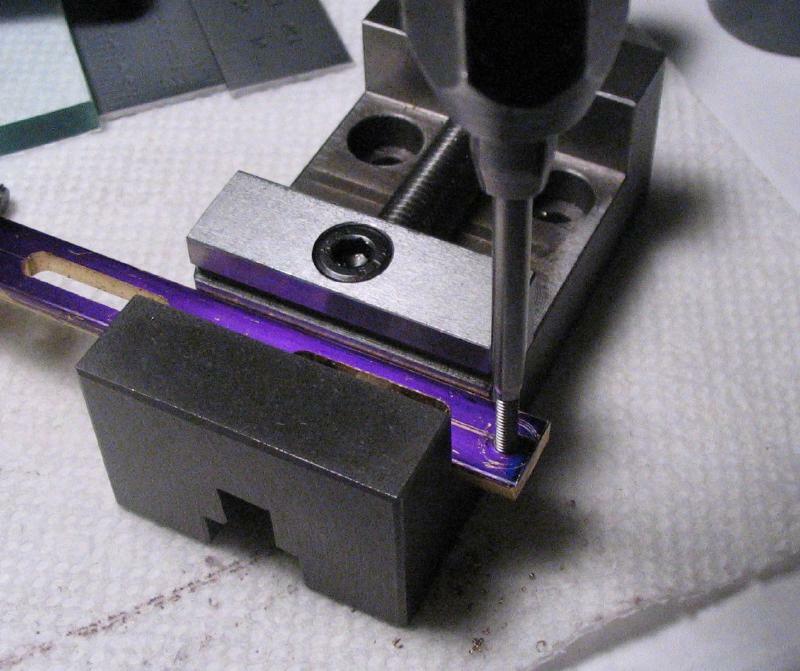 In many cases this may not matter if this surface is machined in a latter step. A commonly found upgrade for this type of steady rest is a set of ball bearings inserts. 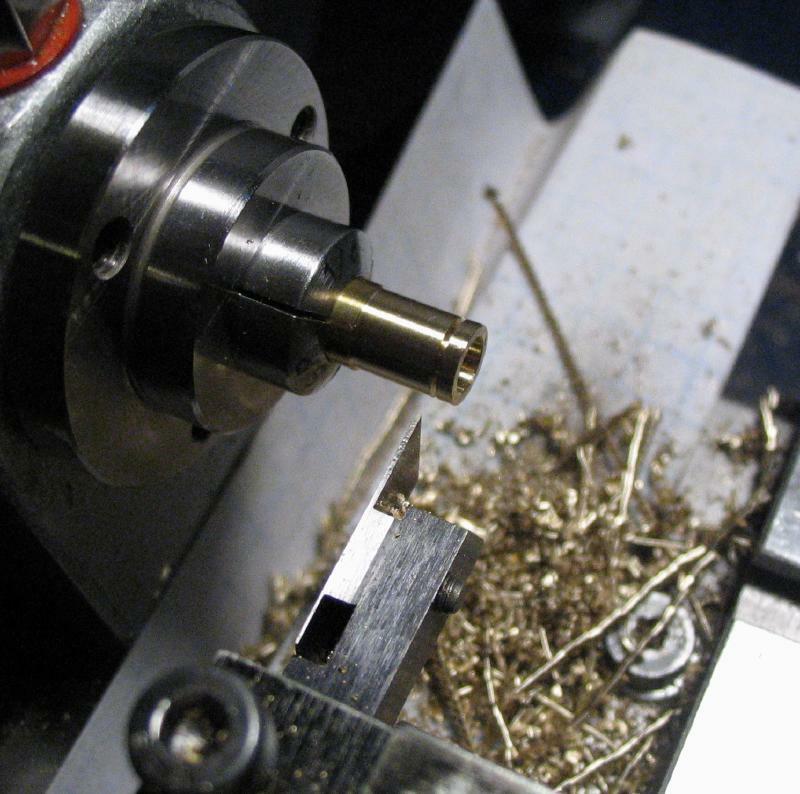 Small ball bearings are inexpensive, and the inserts can be made from brass bar stock. 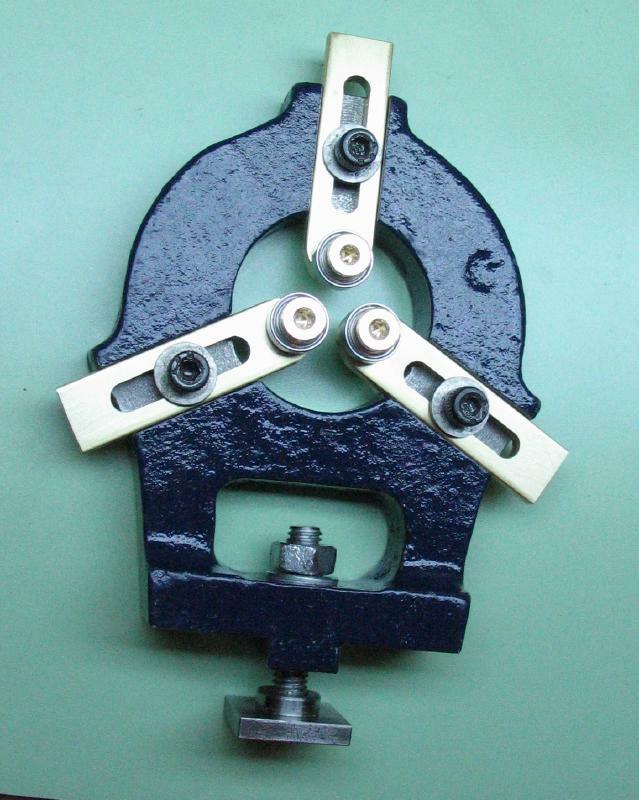 Shown is the stock steady rest with the plain bearings. 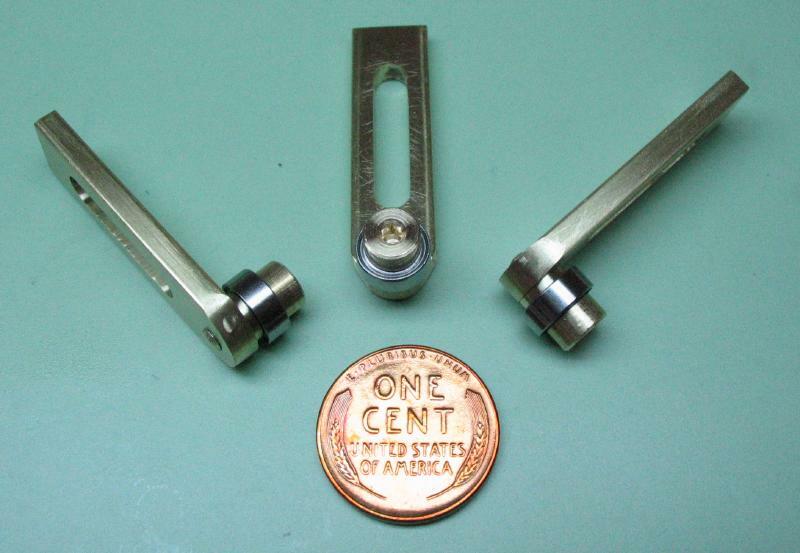 The inserts were modeled on the plain inserts but with a tapped hole for attaching a ball bearing. 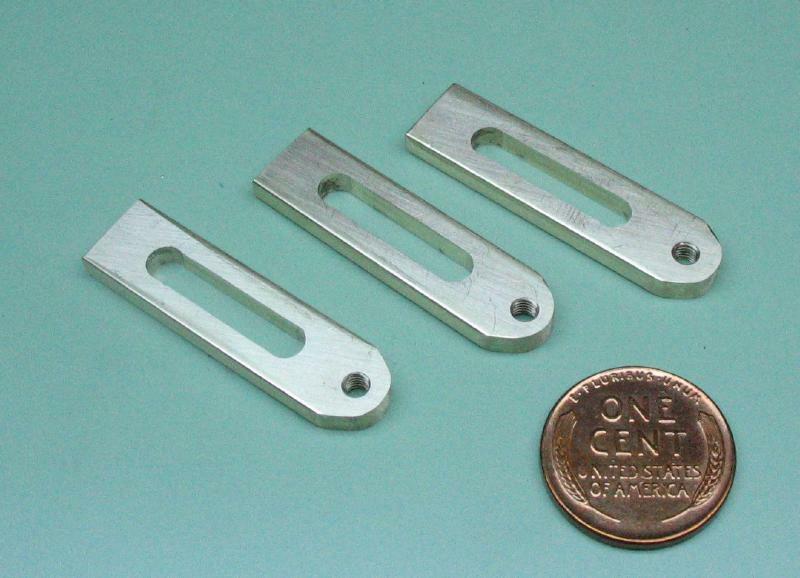 They are made from 3/8" x 1/8" brass bar (type 360). The stock brass fit the steady-rest frame directly, although benefited from light polishing at the end. 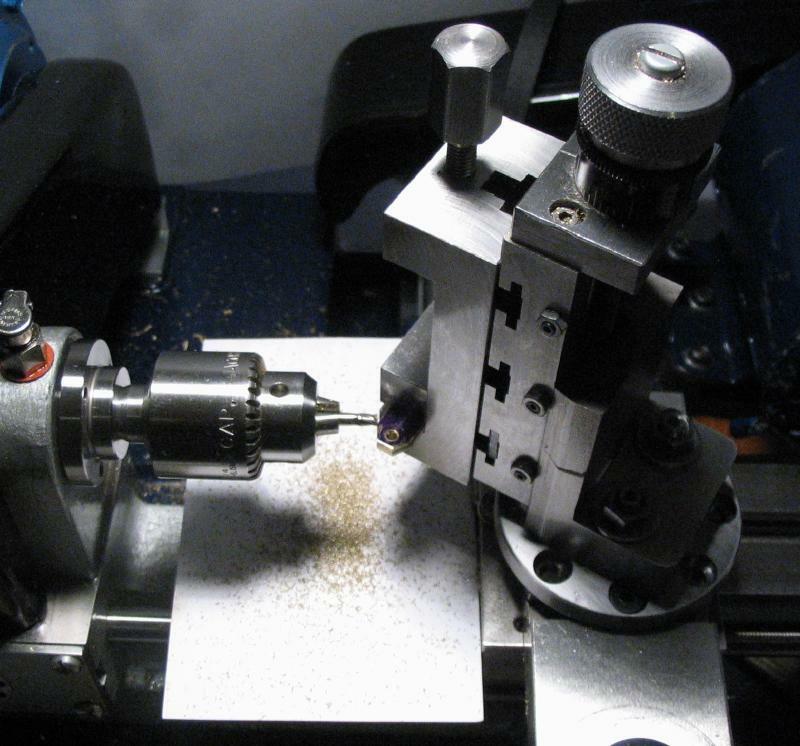 A length sufficient to make three was sawed off and the drilling locations laid out and center punched. One has already been machined, but a photo of the layout is shown. 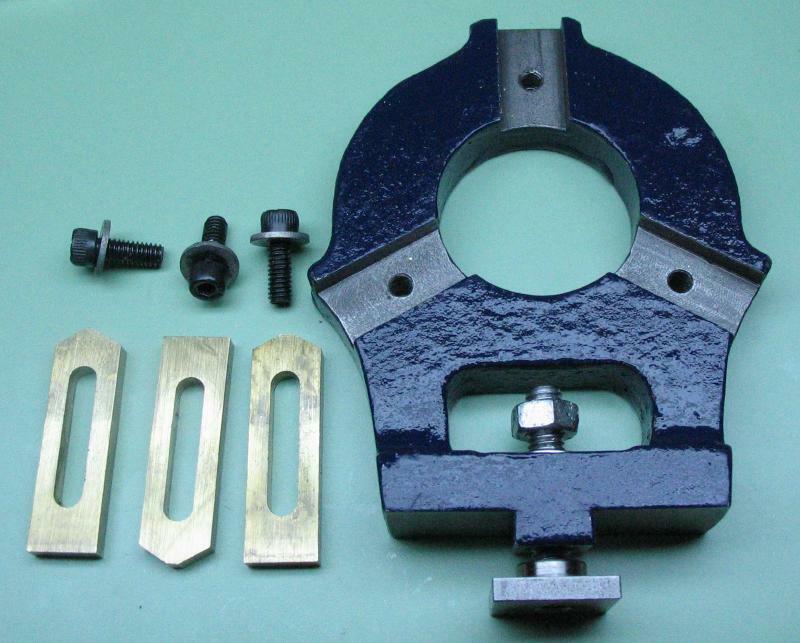 Two strips of 1/16 x 1/4" brass were used as parallels to position the work higher in the vise. This was a less than ideal setup, but worked well enough. 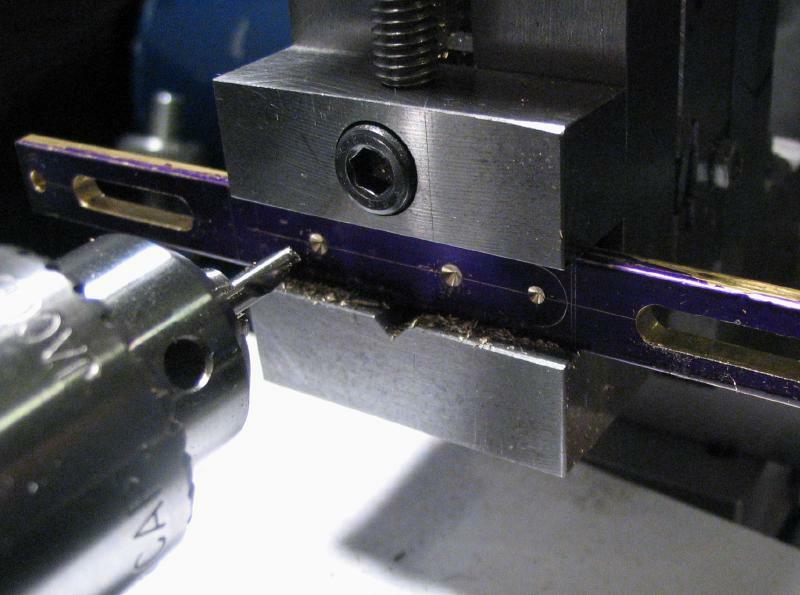 The positions were spot drilled and a 2.5mm drill used for the bearing screw and a 4mm used to start the slot. 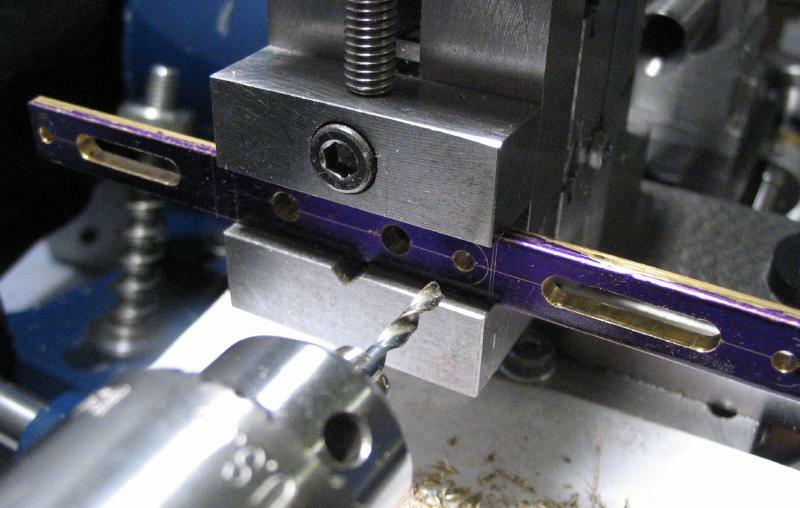 The slot was opened with a 1/8" endmill. 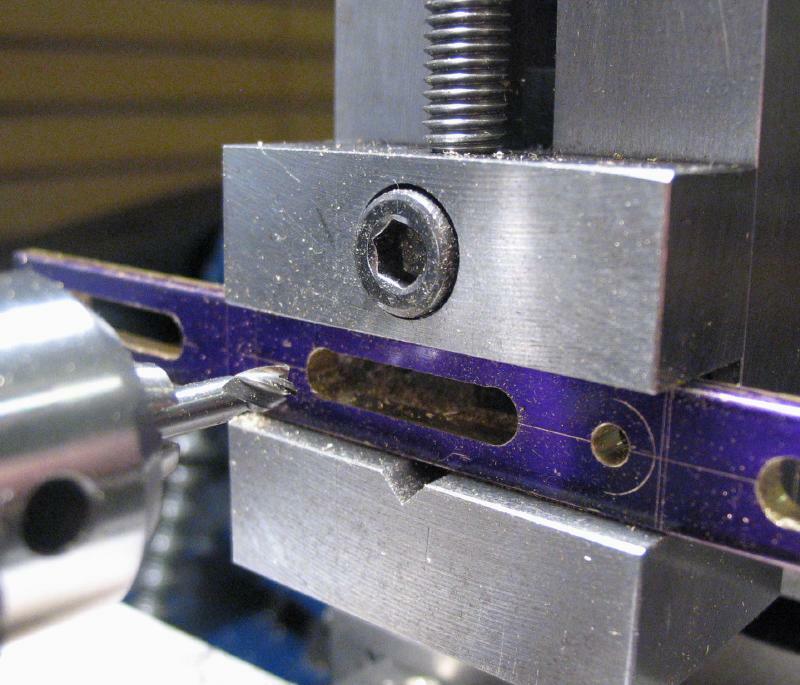 The screw positions were tapped M3x0.5, and the inserts were then sawed off. The adjustable mount for the vertical slide was used to hold the work and mill the tip of each insert. They could be left at this stage, but I rounded them over with a file. 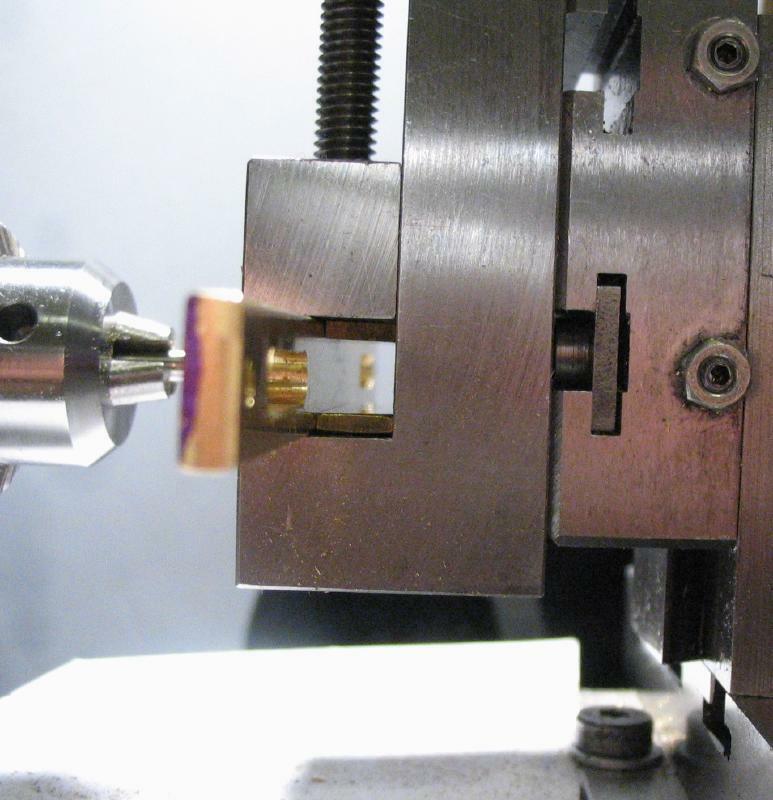 Since the inserts fit the steady rest well already, polishing was kept to a minimum to not change dimensions significantly. 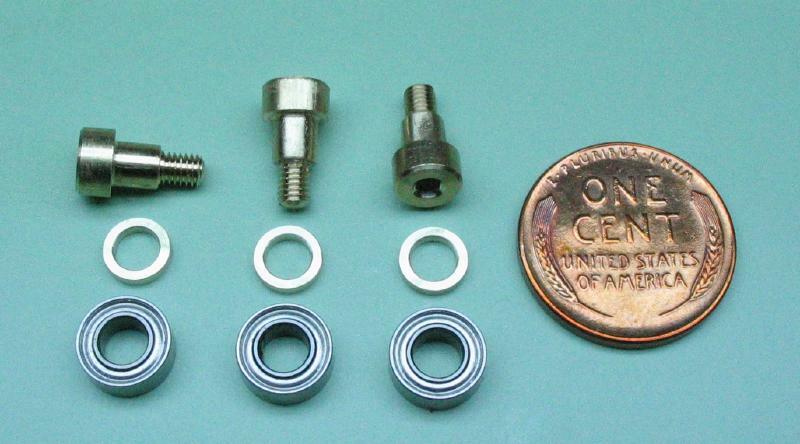 Ball bearings were purchased that are 8mm diameter with a 4mm bore and 3mm thick. 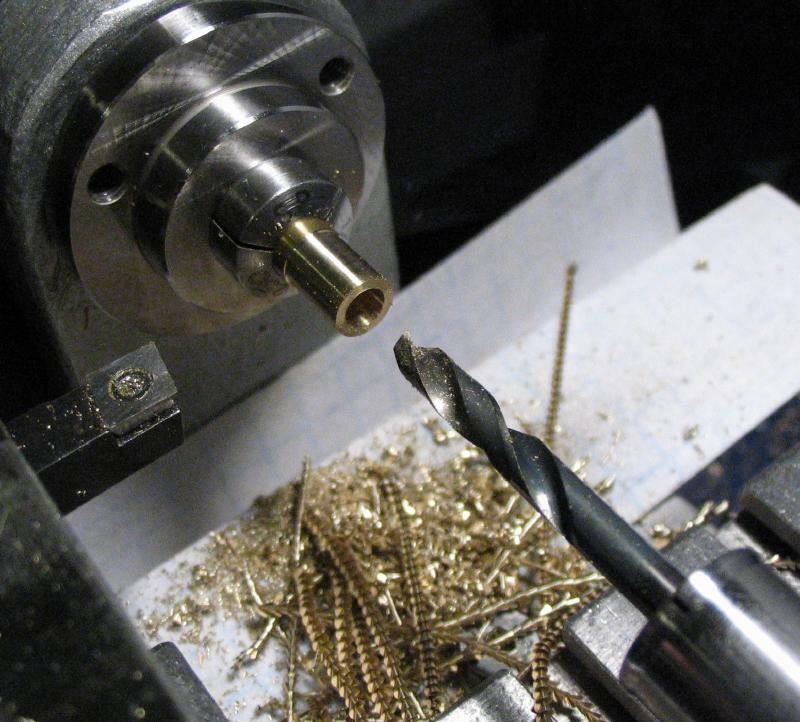 Brass, shouldered, socket head screws were purchased as well for securing the ball bearings. The shoulder is 4mm long, and washers were made from 1/4" brass rod. 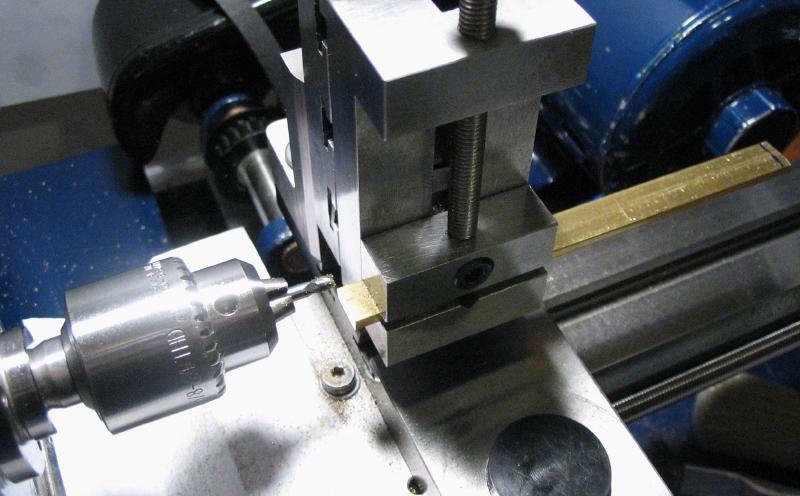 The rod was turned to 6mm, drilled 4mm and parted off slightly about 1.2mm thick. 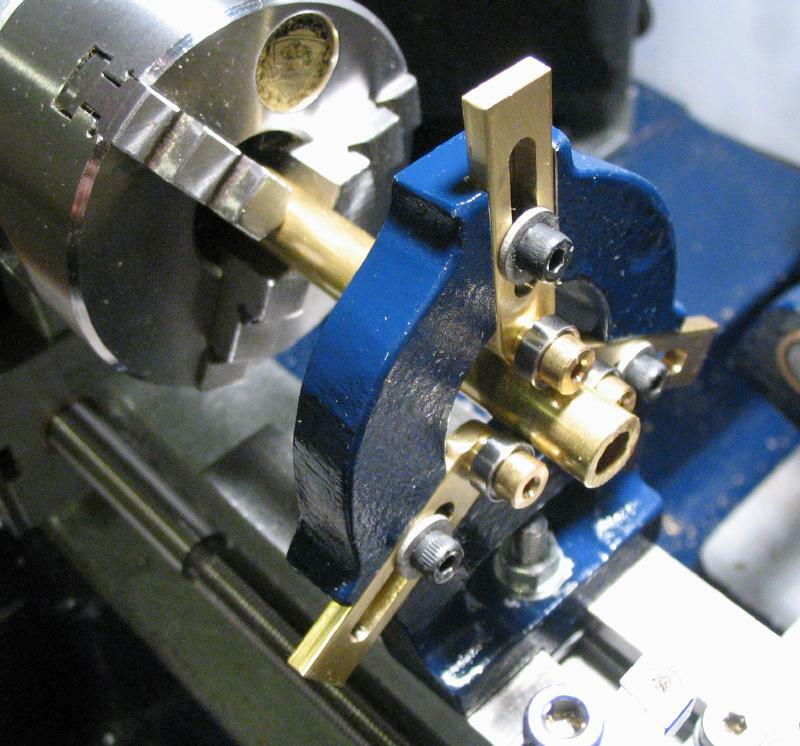 The completed bearing inserts mounted on the steady rest, and a photo of the new bearing being used on the lathe to support a length of brass tubing. 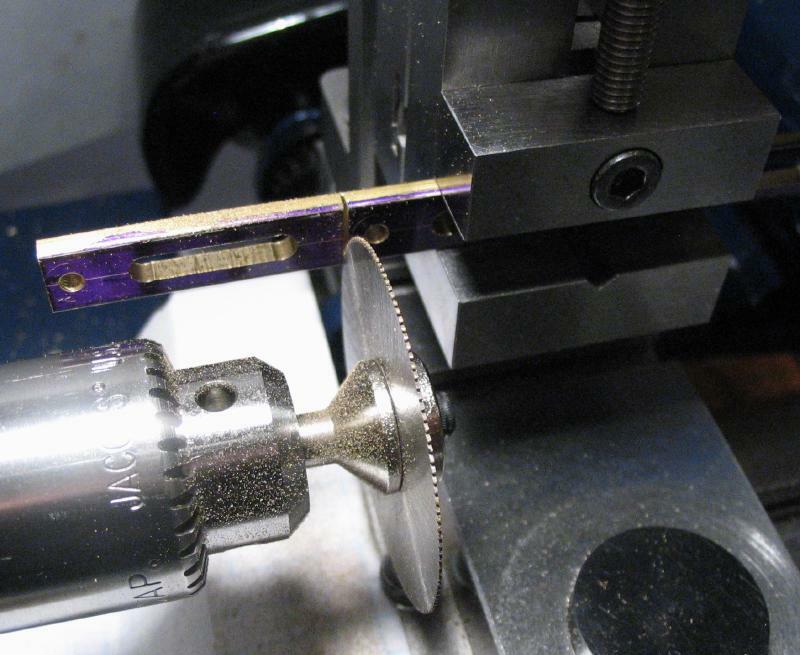 Since the ball bearing adds to the tip length, the overall length could have been reduced accordingly, although this does not limit its function. However, the slot could be made a bit closer to the bearing position to increase the diameter of work that the bearings can accommodate, but the current form should suffice for now.